Turning white fabric black. 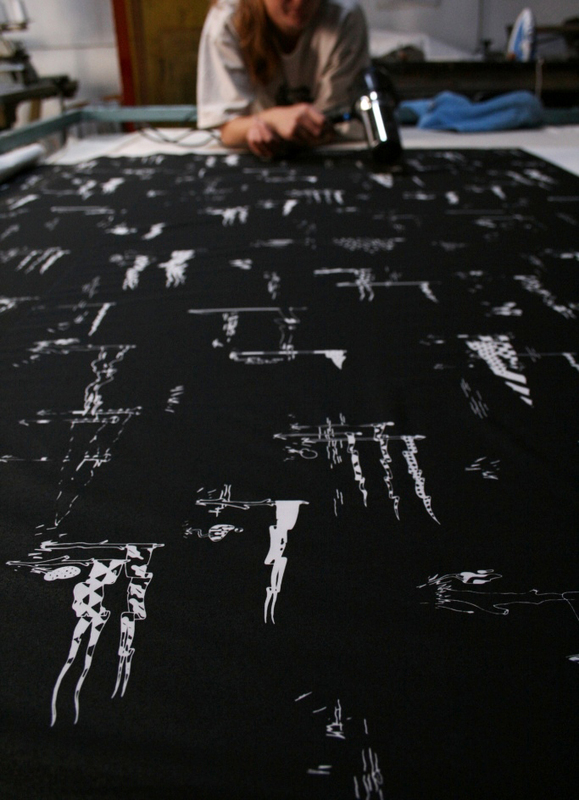 I printed 20 metres of white fabric with a reverse repeat print for our dear friend Gasface. It was for an exhibition he was having in London. My poor hands were stained black, but the fabric looked beautiful when it was finished.